Sketch by artist Thomas Blackshear II (2005); a commissioned work for Relevant Radio. 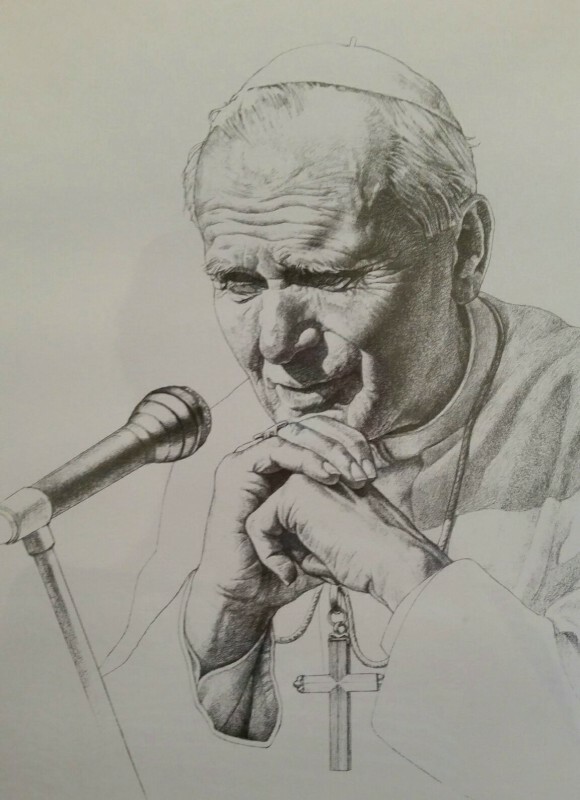 This image of Pope St. John Paul II by Thomas Blackshear sits on the podcasting desk at the studio where I record. This is a beautiful image!! Can I ask do you know who the artist/sketcher is, or how I could find a copy of it myself? Annie, I will find out and send you the information! I think it was a private gift from an artist to my friend. I really should have credited him/her actually…I need to go back and add that to the post! Awesome, thank you so much, Erin! !